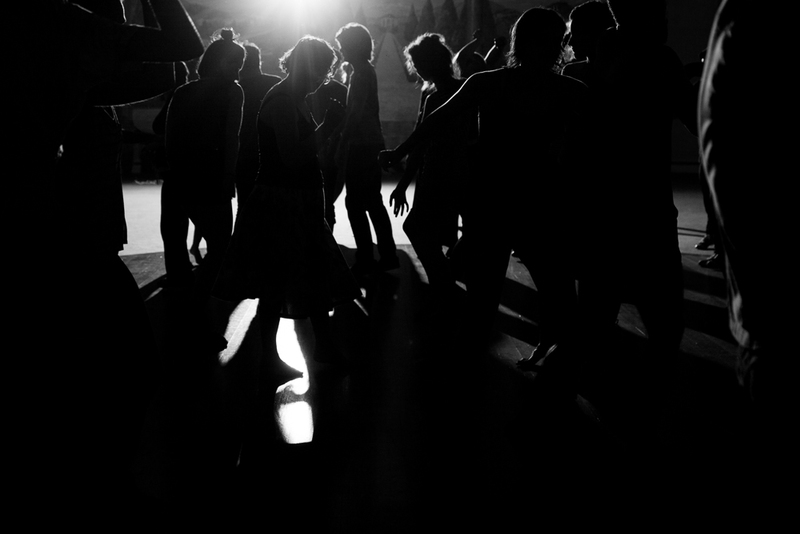 If you like to dance like nobody is watching, then No Lights No Lycra – a dance night held completely in the dark – could be right up your alley! The lights go down, shoes are kicked off and the music begins. There’s no steps to learn, no teacher to follow… just the freedom of dancing to the beat of your own drum and a place to dance away the worries of the week. Gone are the nights of dancing in smoky pubs or nightclubs, No Lights No Lycra (NLNL) is a friendly, booze-free event open to dancers of all ages and gender. Founded in Melbourne in 2009 with just five people in a small church hall, NLNL is now held in more than 75 cities around the world including New York, London and Berlin and in every major city in Australia. NLNL Wollongong began in 2013 and has grown a loyal following, with up to 30 regular dancers now joining in the fun every Thursday night. “Our regular dancers include people in their 20s right through to their 60s, and we even get a few children coming along with their parents in the school holidays. Everyone is welcome!”, says Wollongong Ambassador Clementina Velasco. Each week delivers an eclectic playlist to get you moving, put together by a fellow dancer or following a theme for the week, including 70s, 80s and 90s nights. It’s just like exploring a friend’s music collection – old favourites, the odd remix and some new tunes to expand your musical horizons. “A good mix of genres and decades, lots of well-known tracks for people to clap, sing and shout along to, and an upbeat tempo, with a sprinkle of slower tracks for people to catch their breath,” makes for the perfect playlist, says Clementina. Ready to bust a move? There is no need to book ahead, just head along when you’re in the mood to dance. Bring a water bottle, stay hydrated and be prepared to have a seriously fun time! No Lights No Lycra is held at the Old Wollongong Courthouse, every Thursday at 8pm. $5 at the door. Click here for more.